Description: An exact plan of the fortifications of the Havana and the adjacent forts, with the new batteries, &c., most humbly dedicated to His Royal Highness the Duke of Cumberland, by Lieut. Hugh Mackay, late of the Marines, taken by him on the spot. 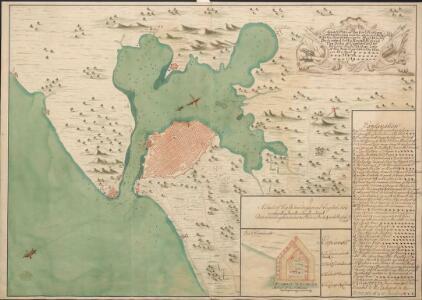 March, 1749," with the soundings; drawn on a scale of 3 3/4 inches to an English mile; with a plan of Fort Coximal, on a scale of 9 1/2 fathoms to an inch."